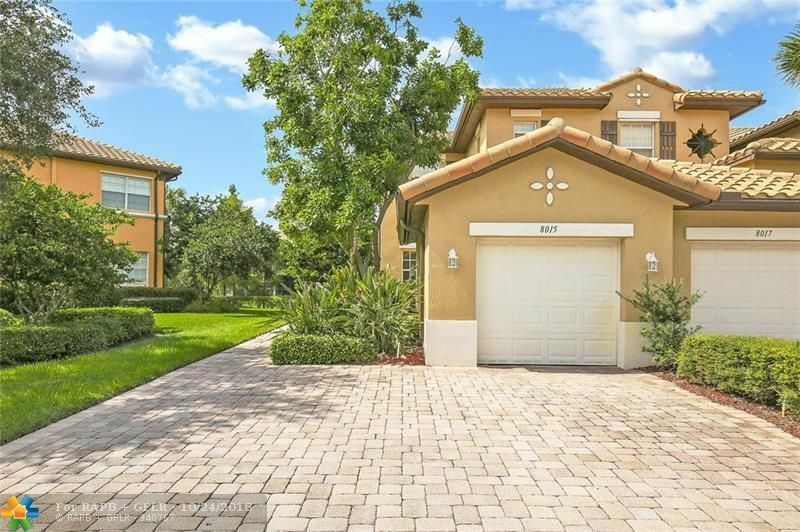 Waterfront corner 1st floor unit in desirable Cypress Pointe neighborhood of Heron Bay! Featuring an extra wide driveway and spacious 1 car garage! Triple split floor plan features 3 separate bedroom wings for privacy. Master bedroom features his & hers closets, dual his & hers vanities, and a HUGE shower to fit the whole family! Enjoy all the features and amenities of Heron Bay for a fraction of the price of some of the houses. Heron Bay is a Resort Style community with state of the art fitness room, clubs, spas & community pools. No association approval needed.